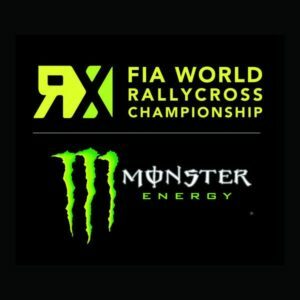 Series of rallycross competitions that have the rank of the World Championships in this discipline. Commonly known as World RX and WRX. The organizer of the competition is FIA- Fédération Internationale de l’Automobile, ie the International Automobile Federation. The competition was created in 2014 by transforming from the FIA European Rallycross Championship. The first season began on May 4, 2014 in Montalegre. The FIA ​​Championship consists of 12 rounds, each two days, taking place on variable-surface tracks – mainly gravel and asphalt. Each round consists of 4 qualifying runs, 2 semi-final and final finals. Three to five cars take part in each qualifying run. The driver with the best result after four laps (including one on Joker Lapie) scores the most points. 12 drivers are going to the next stage, struggling for a place in the final. Six athletes compete in both semi-finals and finals. Currently there are categories: SuperCars, Super1600, Touring Car, RX Lites. SuperCars: Beasts created for extreme racing conditions with a small dose of turbocharging, 600-hp 2.0-liter engines and four-wheel drive. Cars are accelerating from 0 km / h to 100 km / h in 1.9 seconds – faster than Formula 1 cars. Super1600: Cars in this category have front drive and 1600cc engines. Many current SuperCars drivers started in this group to develop at the highest rate over time. Touring Car: Rear-wheel drive and 2-liter engines. Some vehicles with standard front-wheel drive are being rebuilt for this category. RX Lites: Four-wheel drive vehicles, average engine power 310 hp (almost identical) built by Olsbergs MSE.